At the moment, ClassDojo is not available for download on computer. However, you can use emulators to run Android applications on PC. One example is the BlueStacks App Player. It is a powerful tool that provides users a virtual device similar to an actual phone. This also enables users to install games and other popular and in-demand applications. 3: Search for ClassDojo on the Play Store and install it. Ready to build an amazing classroom community? 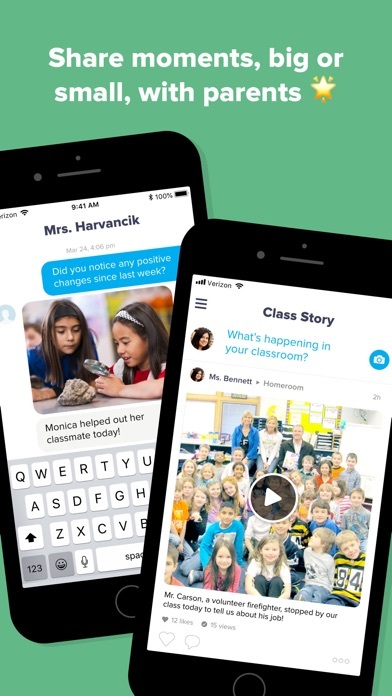 ClassDojo is a beautiful, safe, and simple communication app for teachers, parents, and students. * Teachers can encourage students for any skill, like “Working hard” and “Teamwork” * Teachers can bring parents into the classroom experience by sharing photos, videos, and announcements * Teachers can also safely and instantly message with any parent * Parents see their child’s updates at home, as well as a stream of photos and videos from school ClassDojo helps teachers build a positive classroom culture by encouraging students and communicating with parents. 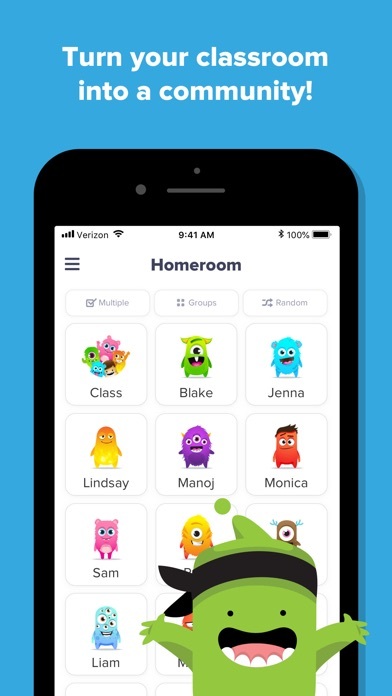 ClassDojo is free for everyone, and K-12 teachers, parents, students, and school leaders in over 180 countries have joined. It works on all devices, like iPhones, iPads, tablets, phones, and smartboards. "I’ve divided my time teaching as B.C. and A.C.: before ClassDojo, and after ClassDojo. I never want to go back!" — Jen E., an elementary school teacher :) See how much people love ClassDojo at: www.classdojo.com/wall-of-love/ Join the ClassDojo community today! 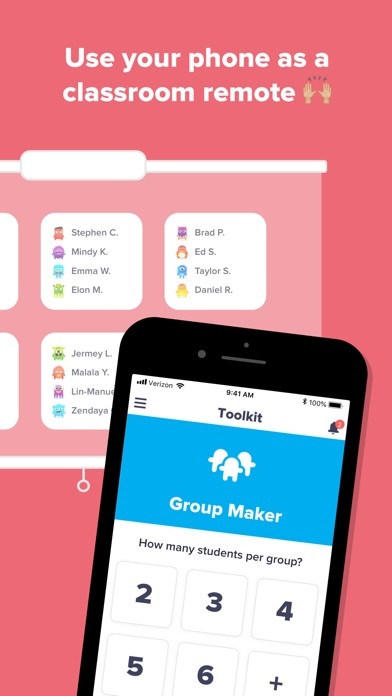 As a teacher, this app is so fantastic to give busy parents a quick insight into what is happening in my classroom. I would love if you added a feature where you can upload multiple pictures in one post rather than having to “spam” parents with lots of pictures one at a time. Another feature I’d love to see is being able to add a photo onto one/multi student’s personal feed but also have it viewable in the class feed too. I’ve had discussions with other teachers at me school about these two above suggestions and it has been a resounding “Yes!! I wish you could do that!” So please consider these in future updates! Keep up the good work! I really like Class Dojo but... I teach multiple classes and it astounds me that with so many avatars available, a class of 25 still generated 5 identical avatars! Surely it’s possible to create an algorithm that doesn’t let this happen because it’s really time-consuming having to edit students so that they can be all unique. Also, it would make it a lot easier if you could select what day you want to take attendance because I see my classes once a week. Sometimes that’s all I use Class Dojo for, and if I were too busy to record who was there, it’s really hard to go back say a day later and fix. It would also be really handy being able to view class attendance reports through the IPad app. 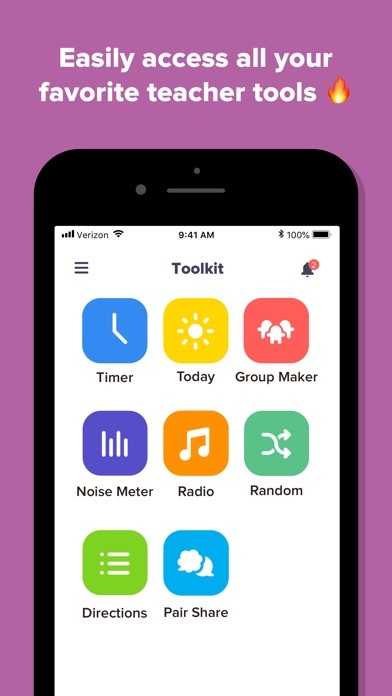 Another feature Class Dojo could look into would be recording class jobs. Perhaps a way to list the jobs and have the ability to “move” avatars around to change who is listed, or it randomly generates the next batch etc. I can see a lot of application for that. Hope to see some changes in the future! Useful app; works fairly well; sometimes a bit sluggish. Great way to get news on what’s going on in the classroom (especially as it’s the first year we have a child in school!). Also helps us to reinforce what’s being taught at school. App feels a bit slow to launch and sometimes to respond, but overall no problems. Would be great if there was a way to send messages to other parents in the class too (it would have to be opt it, and with blocking allowed, so that it can’t be abused). Would also be nice to have badges when I’ve got unread notifications. 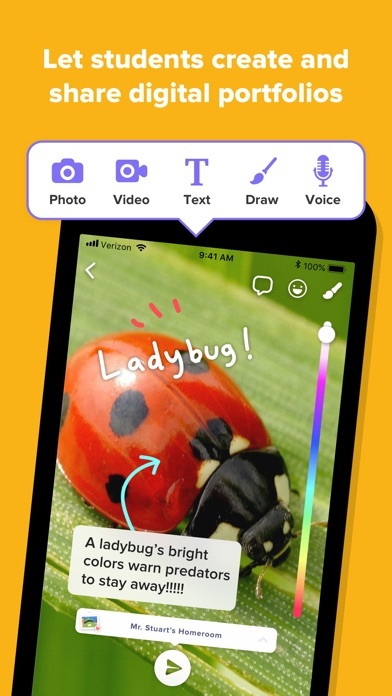 More software by ClassDojo, Inc.